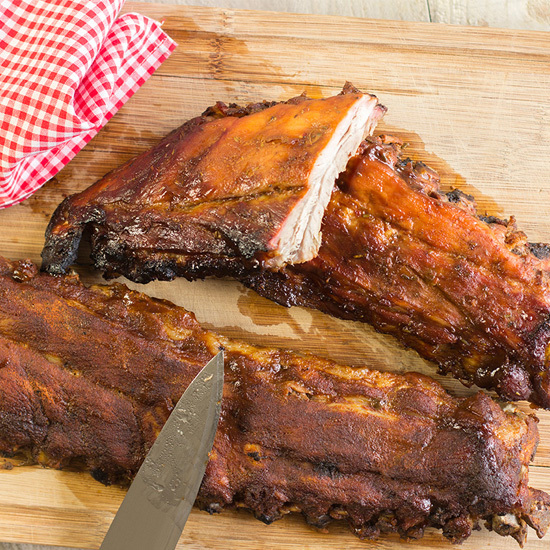 Get blown away by the flavors of these spare ribs. 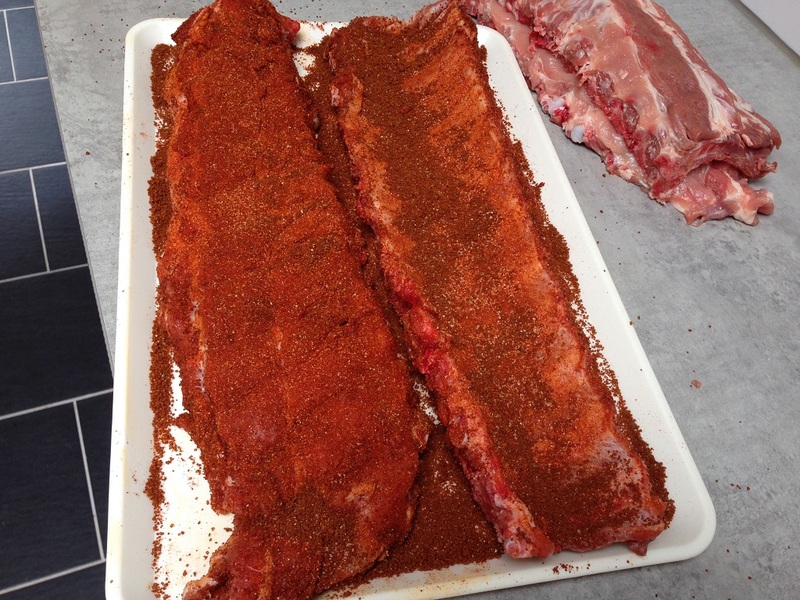 We've prepared spare ribs with a dry rub, and a wet rub which will serve up to 6 people. Very easy, just add all of the ingredients together in a bowl and mix together. Remove the peel of the ginger root and garlic cloves. Remove the red chili pepper seeds. Cut the ginger, garlic and red chili pepper into chunks. Add all of ingredients for the wet rub into the blender and blend until a smooth paste forms. 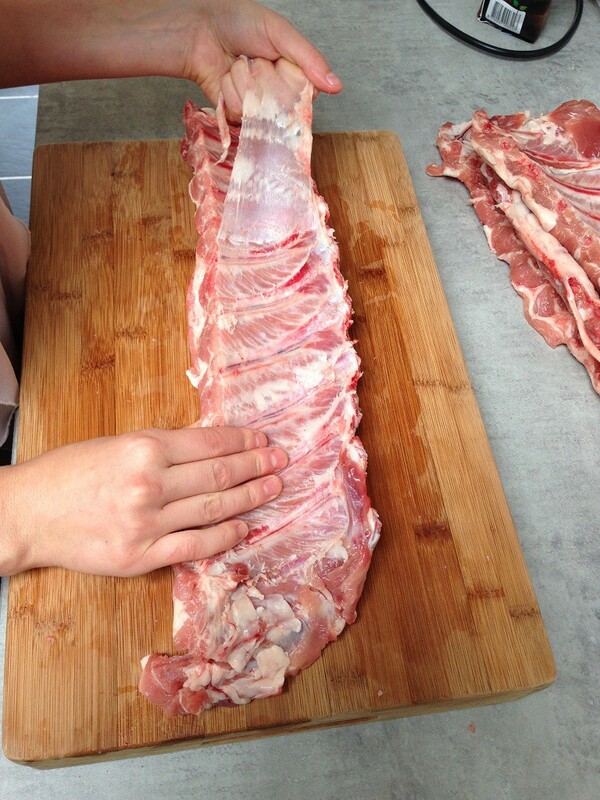 Remove the membranes which are located at the hollow side of the spare ribs. You can make a start by using the chef’s knife, if all goes well you can rip off the membrane in one go. Do this for both pieces, if you’ve bought spare ribs in one piece you can cut it in half now. One half will have the wet rub, while the other has the dry rub. By using your hands, rub all of the wet rub marinade onto the spare rib. Be sure to cover all of the areas. Repeat this step for the other half, but use the dry rub this time. Put in a big plate and cover with cling film. Set to rest in the refrigerator for a minimum time of 4 hours. 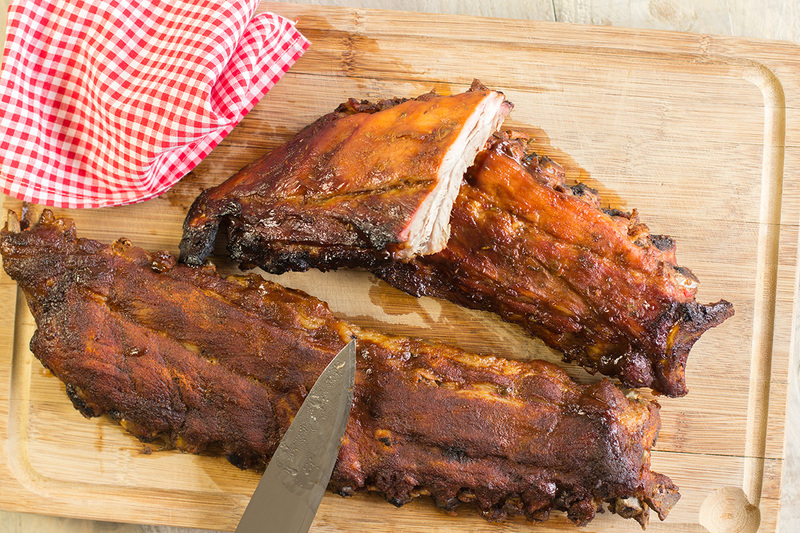 The longer you let the spare ribs marinate, the better! For up to 2 days max, otherwise the meat will start to deteriorate! Pre-heat the oven to 170 degrees celsius or 338 degrees fahrenheit. 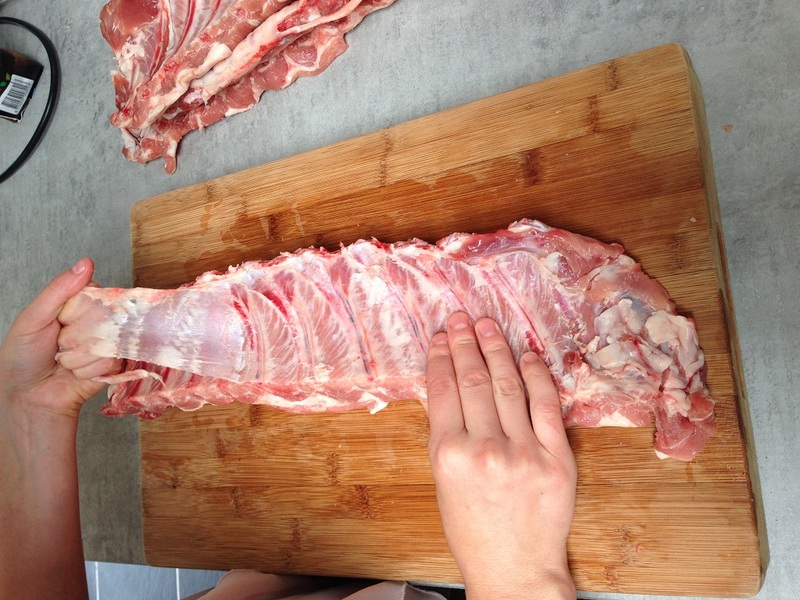 Remove the cling film and place the spare ribs onto a baking plate with the hollow side facing down. Add a small layer of water and cover with aluminum foil. Cook the spare ribs for about 2.5 hours in the oven. Be careful when removing from the oven since they can fall apart easily! It’s that good!